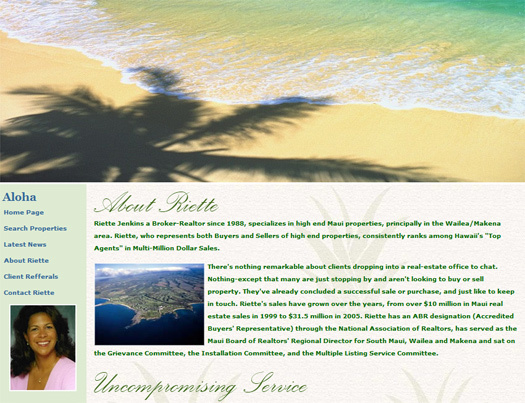 A Maui Web Design, built in Maui Hawaii, by a creative web site designer service. Proud to bring the magic of Maui to the world wide web. Ecommerce web design and marketing strategies. Need to introduce new ecommerce features to your site? Businesses view us as a strategic partner that drives their world class internet presence. We offer complete search engine optimization, in depth SEO planning, and strategic thinking to get your online business where it needs to be. Contact us today about a complete site seo with multiple web page optimization. CMS and database solutions. Content management system, (CMS) web site database design. Allow us to assist you in making your online business a reality. 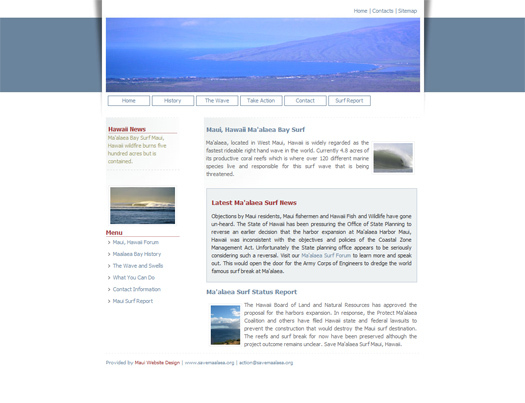 View our Maui Web Design Portfolio. Professional Hawaii website design development, ecommerce and Flash design. 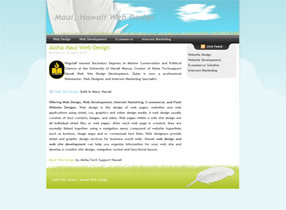 At Maui Hawaii Web Design we believe a website should reflect a useful layout and a clear display of its services. We develop state of the art sites that are easy to find and easy to use. 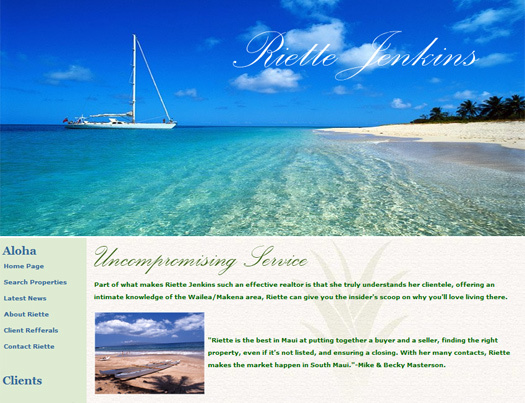 Our custom web designs and distinct style set us apart from the typical Maui web company. If you're serious about your internet success, Maui Website Development can get you there. Quality Maui, Hawaii Web Design Services. When you need the best contact Aloha Techsupport Hawaii. Is your website not getting the results you want? Get personal attention and strategic thinking from our top Maui Web Designer developer. 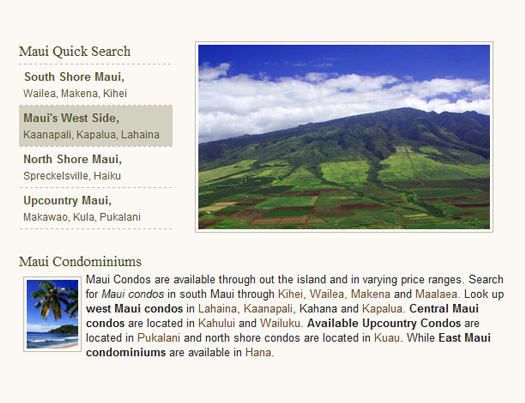 High-end web site design from Maui Hawaii with real world results. Discover the difference. 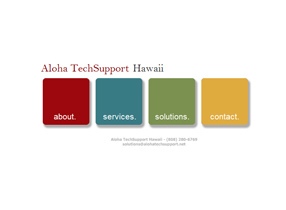 View Aloha Techsupport Hawaii's Flash Media Website! » Web Design Development, Internet Marketing, Ecommerce Solutions and Flash Websites. We strive to provide affordable and exceptionally high quality sites with personal service. 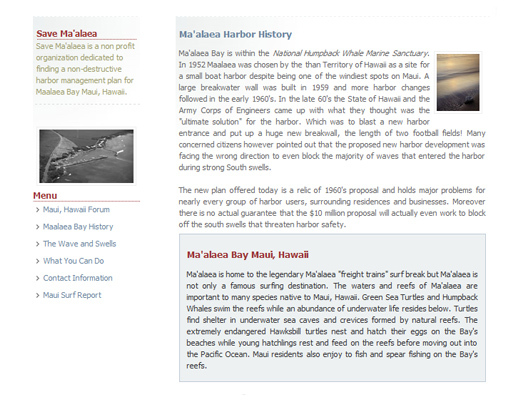 Take a look at our Hawaii Web Designs Process page, which answers a host of facts and questions. 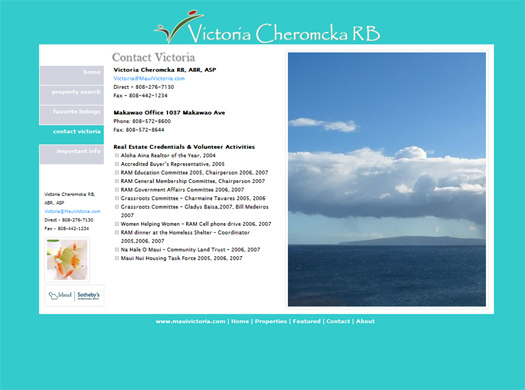 Website development, internet marketing and complete ecommerce service for the Hawaiian Islands. With Hawaii Web Design total customer service is always our number one goal. » Web Site Maintenance, Re-Designs, Graphics and Routine Updates Service. Whether your Maui Web Design Development calls for a few subtle changes to a current site or a complete custom design you have found the solution. 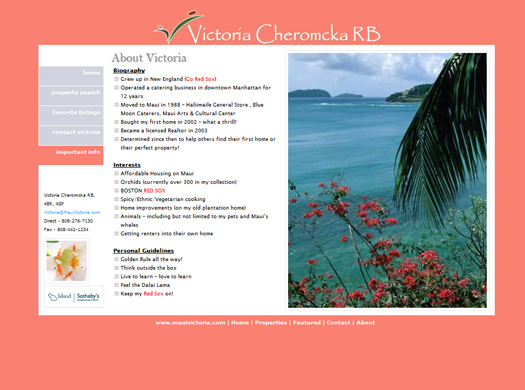 Hawaii website design, ecommerce and internet marketing service to show case your site online. 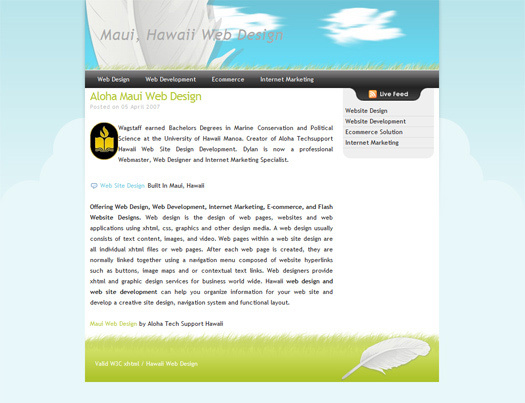 Hawaii web design and support that expands your Hawaii business bottom line. Contact Hawaii's number one website designer company. 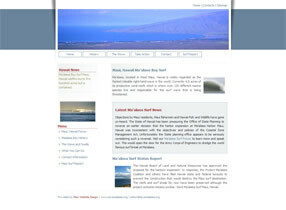 Visit Our Maui Web Design Blog for Website Tips and More! Subscribe To our Live Hawaii Website Designer RSS Feed Service. Aloha from Hawaii. Head over to Aloha Tech Support Hawaii's Maui website designer portfolio to select the right internet web site solution for your companies image. We are an affordable Maui, Hawaii Website Design Company that works with Flash site media. Web site service that offers a free initial site survey. Site hosting setup and Maui website templates. Ask about our full Search Engine Optimization Services (SEO).